Vivekananda Kendra Kanyakumari, Madurai branch organised a Non-Residential Personality Development Camp at Vistar level in TVS Nagar Karyalaya from 11.00 am to 04.30 pm on 30-09-2018. The aim of the camp is to channelize the energy of sanskaravarga children for productive Nation building work. 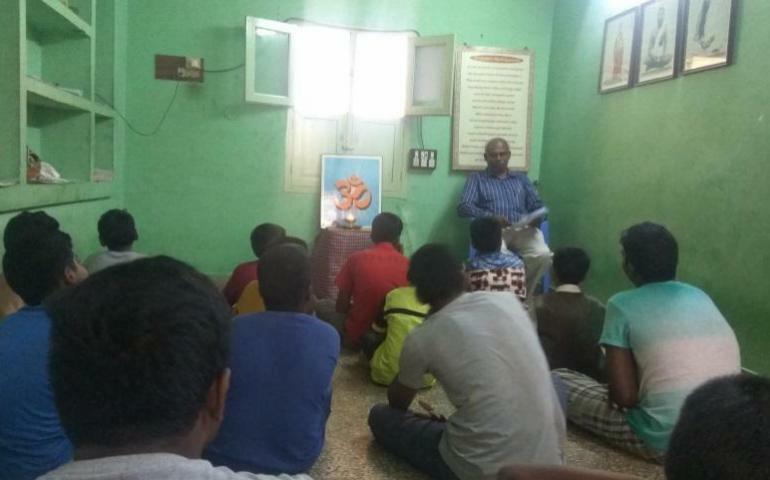 Total number of 14 people participated in the camp and the organizing team consisted of 7 Karyakarthas. The camp started with prayer. Purpose of the camp was also conveyed to the participants which was followed by thumb art by the participants. After Krida Yoga, the participants took their lunch. After the lunch, video about the story of Rock Memorial was shown. Children were grouped into three teams and they enacted small skits on life incidents from national leaders team wise. Sanskara varga was also a part of the camp. The concluding session started at 4.00 pm. Shri.Rajasekar anna, Kendra Karyakartha gave a speech about our responsibilities and inspired the participants to serve the country. All took Sankalpa as to work for the nation.